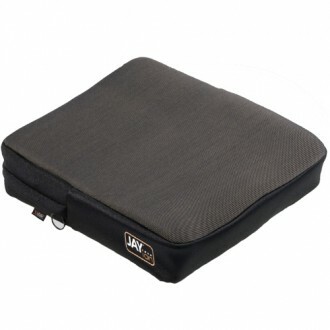 Jay Ion Cushion features super soft foam on the top, structural foam imbedded on the bottom sides. Together they balance comfort with support. Add in a layer of reticulated foam in the cover, and the Ion takes on the additional benefit of being able to absorb both heat and moisture. The Ion's thin fabric weave makes washing and drying the outer cover a snap. The inner water-resistant cover can be easily wiped off in seconds. When moisture strikes, cleanup is quick and easy. Weight Capacity 300 lbs., 500 lbs. Click the button below to add the Jay Ion Cushion to your wish list.